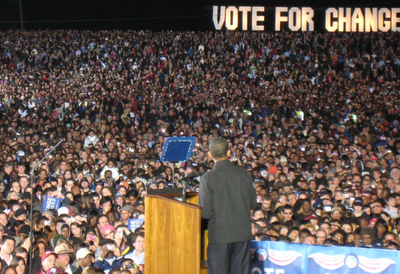 Here’s a vey brief eyewitness report on Obama’s rally last night in Manassas, VA.
More than 90,000 were there! This entry was posted in Politics and tagged manassas va, Obama. Bookmark the permalink.